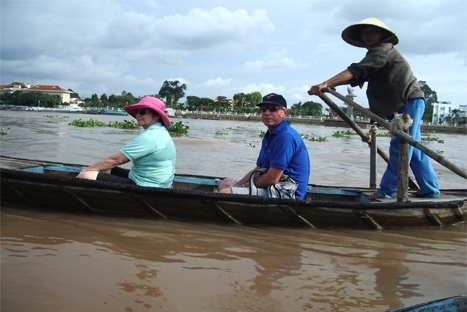 Mekong delta tour , Mekong cruise from Chau Doc Phnompenh - The Mekong Delta is always impressive with the natural scenery and lovely people that can only be fully discovered when traveling from place to place at a nice, slow pace. 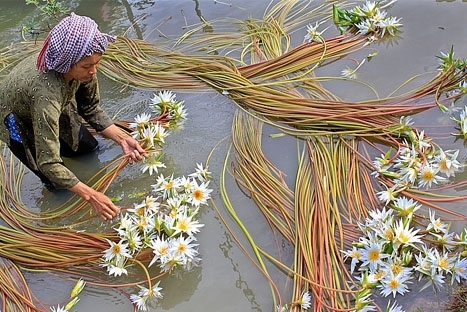 In the Mekong Delta, you can do sightseeing the waterway regions, visit old pagodas, orchards, family –run factories and interact with humble people. In addition, you can try authentic foods and listen to Southern Vietnam traditional music of Don Ca Tai Tu - Mekong delta. 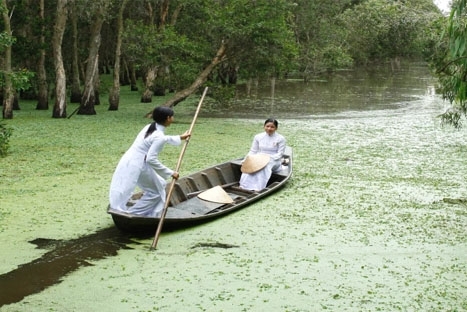 With Mekong Delta Exploration, you also can make an extension tour to Cambodia via Chau Doc by boat. 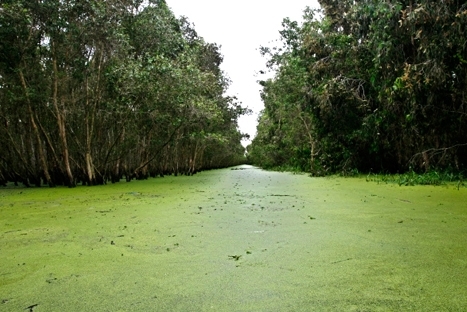 Mekong delta tour from Hochiminh city to Chau Doc and connect trip to Phnompenh , Cambodia . 08ham depart from the economic centre of Vietnam, Ho Chi Minh City, for a visually enchanting drive to Ben Tre. As you leave the bustling city behind, the scenery changes for lush rice paddies to an area is referred to locally as the rice bowl of Vietnam. On arrival in Ben Tre Province head towards Tien Giang where you will board your sampan for a cruise among the aptly named Dragon, Unicorn, Turtle and Phoenix Islands. En route visit a small factory producing handicrafts made of coconut. Once on Turtle Island, visit a typical orchard where you can taste their exotic fruit. Next, board smaller boats (3 to 4 people per boat) for a more adventurous cruise on the Xep Canal, this is set amongst a forest of palm trees. After the boat trip, take a ride on a horse driven cart to the famed garden of local family people for a honey tasting session. Breakfast at hotel, then transfer to the pier for taking the boat ride on Mekong River which is the longest and most prosperous in Asia, visit the famous floating market Cai Rang, where you can see the daily life and local people selling their products on boats. Then cruising to small canels to visit one of the local family and their orchard, taste tropical fruits, green tea. Finish trip and get on vehicle to Chau Doc. On arrival, check-in the hotel. After then we discover sacred Ba Chua Temple and nearby sanctuary of Tay An before ascending the Sam Mountain to watch the beautiful sunset over Cambodia and mighty Mekong River. After enjoying breakfast at the hotel embark by boat to visit the unique farms where fish are bred in wooden cages suspended under floating houses on the river. Continuing on by boat to visit a traditional stilt house village belonging to the ethnic Cham people. Here colourful traditional textiles are woven on old wooden looms. In the afternoon drive back to Ho Chi Minh City stopping for lunch en-route.